Spectra TV by CloudWalker is a Full HD LED TV featuring IPS panel with XLuminous Display that provides stunning and true-to-life visuals. The 20W in-built Boom-Box speakers produce powerful surround sound that gives your entertainment an immersive cinematic experience. It is equipped with 2 HDMI, 2 USB ports for media playback, VGA port for PC connectivity, PC audio in, headphone jack and other multiple ports to keep you entertained all day long, and guarantees that you never run out of connectivity options! So, what are you waiting for? Indulge yourself in the best TV experience. Cloud TV X2 is India’s First HD Ready Smart TV on Android 7.0 Nougat that plays 4K content. Now experience the power of 4K content on HD Ready TV with an immersive display and cinematic sound experience with 20w powerful audio. Powered by Android 7.0 Nougat OS, Quad-core ARM cortex processor, 1 GB RAM and 8 GB ROM, this TV updates itself regularly via OTA. Get access to the latest global content with thousands of hours of trending movies, TV shows, documentaries, music, videos and official apps like Hotstar, Zee5, Alt Balaji, Sun NXT, Hungama Play, Spuul and many more, specially selected for you by the Made-In-India Content Discovery Engine. Downloads and plays popular and compatible Android apps (certain Apps performance depends upon the support provided by app developers). 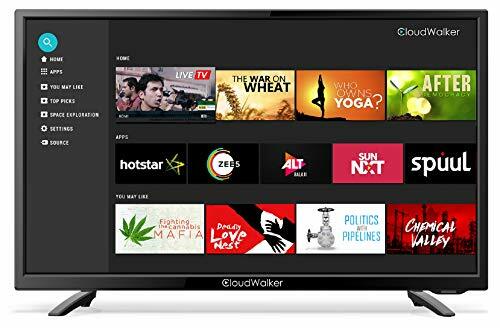 Features an Android TV style interface for an unmatched TV viewing experience. Enjoy wireless media streaming from your mobile devices to TV with the CShare app. What’s more. Enjoy a lifetime free subscription to the Movie Box app and enjoy unlimited multi-lingual movies, short films and documentaries across genres. The Cloud TV X2 is here to change the way you view digital entertainment. Experience superior picture and sound quality created for Indian viewers in 4K resolution. Superior sleek TV enhances the look of your living Room. 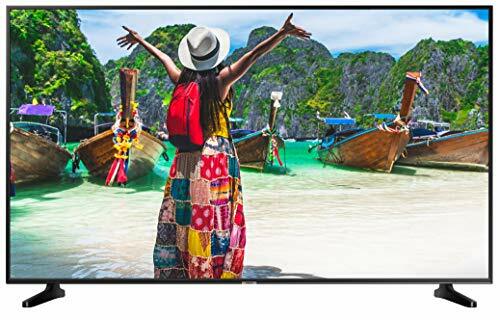 A Smart TV – watch videos, play music, or view photos through a USB connection, through Internet or via your Samsung phone. Here is the first update for Mi LED TV Pro. This update includes few fixes and optimizations. Update now and elevate your TV viewing experience. 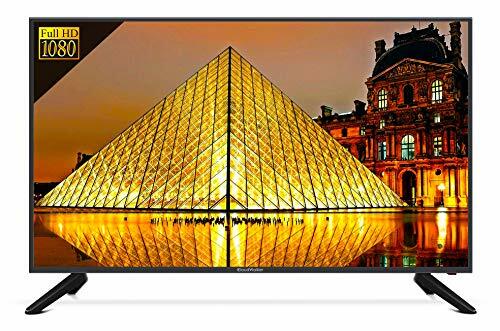 The Mi LED TV 4A PRO dons features such as Full HD and HDR display, 64-bit Quad-core processor, DTS-HD audio, Google Voice Search, ultra-bright resolution, built-in Chromecast and Play Store, 7,00,000+ hours of content on PatchWall, multiple ports, 49-inch display screen and much more. This television has a wide display with which you will be able to view detailed visuals. 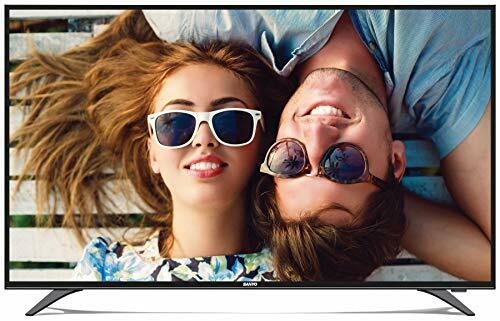 The Mi LED TV 4A PRO is the smart Android TV that has almost everything that you are looking for in a TV. 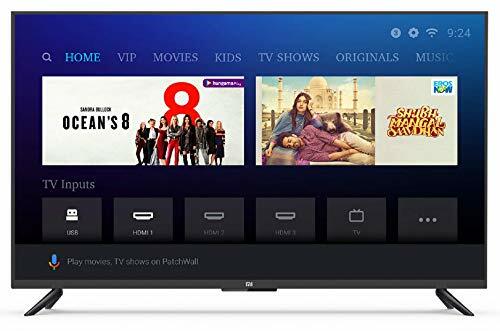 Browse through features like DTS-HD sound, 7,00,000+ hours of content on PatchWall, in-built in Chromecast, personalised recommendations, Google Voice Search and much more. 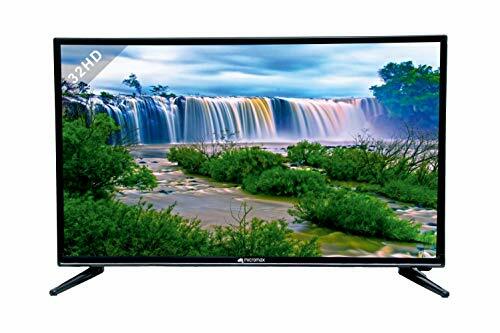 This television by Mi also allows you to accesses almost everything on the internet without any hassles. With multiple ports, you will be able to connect numerous entertainment devices. Watch your favourite movies, TV shows and much more with the 49-inch Mi LED TV 4A PRO. You will also be able to control your entertainment with your voice as the voice enabled remote gives you access to Google Voice Search. 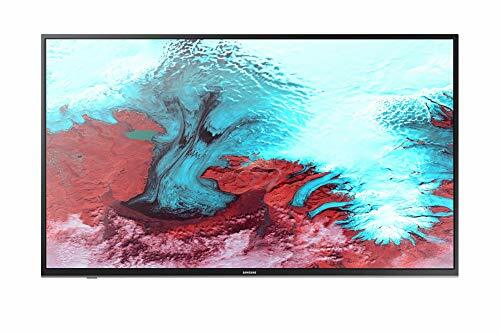 Whether you want to mount the TV on the wall or sit it on the table, the Mi LED TV 4A PRO gives you the best performance as it comes with a 64-bit quad-core processor, 2GB RAM + 8GB storage, Bluetooth and Wi-Fi connectivity. With great looks, this TV is gives you access to great entertainment in the comfort of your living room. 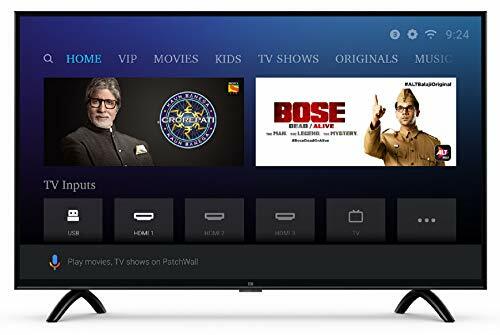 The Mi LED TV 4C PRO comes with irresistible features such as HD Ready display, 64-bit Quad-core processor, DTS-HD audio, Google Voice Search, ultra-bright resolution, built-in Chromecast and Play Store, 7,00,000+ hours of content on PatchWall, multiple ports, 32-inch display screen and much more. This television has a state-of-the-art display with which you will be able to view vivid and detailed colours. The Mi LED TV 4C PRO is the smart Android TV that has almost everything that fits your needs. Not only will you be able to experience entertainment like never before, but this television by Mi also allows you to accesses almost everything seamlessly. Explore features like PatchWall, DTS-HD sound, in-built in Chromecast, personalised recommendations, Google Voice Search and much more. With multiple ports, you will be able to connect numerous entertainment devices. Watch your favourite movies, TV shows and much more with the 32-inch Mi LED TV 4C PRO. You will also be able to control your entertainment with your voice as the voice enabled remote gives you access to Google Voice Search. 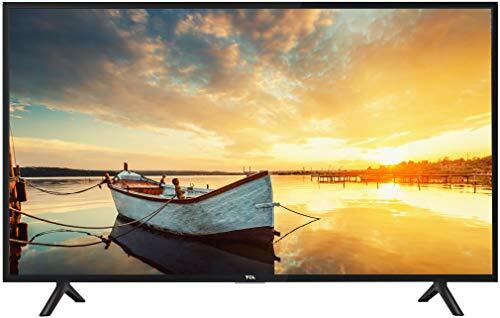 Whether you want to mount the TV on the wall or sit it on the table, the Mi LED TV 4C PRO gives you the best performance as it comes with a 64-bit quad-core processor, 1GB RAM + 8GB storage, Bluetooth and Wi-Fi connectivity. With great looks, this TV is gives you access to great entertainment in the comfort of your living room. With the slim and stylish virtually frameless picture, now experience visuals that seem to have no end on the TCL D3000 series. The TCL 3000 TV supports MP3, WMA, Dolby AC3 and MPEG2, MPEG4 (H.264) video coding. Multiple external inputs, including 2 USB and 2 HDMI ports amongst others, support a range of peripheral devices. Experience sound with surround effect on the two channel speakers with TCL's own developed sophisticated software. Get ready to be entertained in High Definition on the 81cm (32) HD display of the new Micromax 32T8361HD LED TV! Entice your senses with crystal clear graphics with the Crystal Luminous Colour Polarization (CLCI) technology! Listen to your favourite playlist in superb sound quality on the surround sound system and browse your channels in Hindi language interface! Experience superior picture and sound quality created for Indian viewers.